Editor's Note: Tom Woiwode is the latest addition to the Mode Shift editorial family. He'll be blogging weekly in 'Musings of a Streetwalker,' sharing his perspectives on land use, community development, advocacy issues and more. In 2006, Memphis was named the worst city in the country for biking by Bicycling magazine. Again in 2008. And again in 2010. In 2012, Bicycling magazine called Memphis the most improved city in the country for biking. Through 2010, Memphis had only two miles of bike lanes in the city. By 2012, it had installed an additional 45. So what happened in two years? The city hired a bike/ped coordinator. It completed a signature project, the Shelby Farms Greenline, a 6.5 mile trail that runs through the heart of the city, connecting midtown Memphis with one of the largest public parks/spaces in the country. Memphis also received a TIGER grant supporting the construction of biking and walking facilities on the Harahan Bridge across the Mississippi River, connecting the downtowns of Memphis, Tennessee with West Memphis, Arkansas. The city is now installing bike and walking paths along the riverfront to connect to the Harahan Bridge. One critical piece to the city's success was the support from Mayor A. C. Wharton, elected in 2009, who committed to making Memphis a bike-friendly city; and the city leadership recognized biking as a critical piece of the city’s future. So how does Detroit compare? We’ve got a terrific riverfront that continues to develop. We have a signature project—the Dequindre Cut—that, combined with the riverfront, connects to one of our true community jewels, Belle Isle. The city received a $15 million TIGER grant to support the construction of the connections between Midtown, the Eastern Market and the Dequindre Cut. 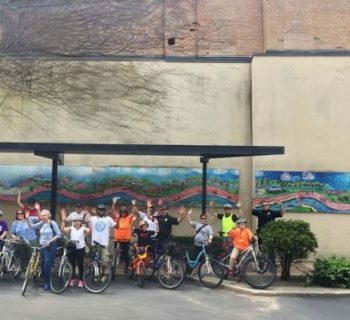 We have active bike and ped engagement, at the regional level through MDOT’s regional non-motorized committee, at the city level through the city’s Non-Motorized Committee, and at the neighborhood and institutional level through the Detroit Greenways Coalition. And about those bike lanes. Through 2009, we could say much the same thing as Memphis—there were virtually no bike lanes in the city. But then the Conner Creek Greenway was constructed, and included bike lanes; and Michigan Avenue was repaved, and included bike lanes; and the Corktown/Mexicantown Greenlink was installed, and included bike lanes; and Second Avenue was converted from one-way to two-way, and included bike lanes. 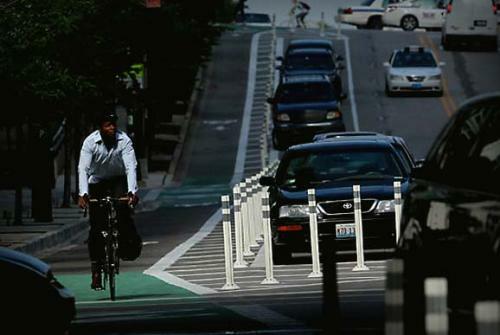 By the end of 2012, the city had installed more than 70 miles of bike lanes. 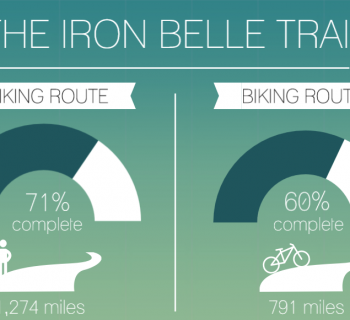 In addition, there are 100 miles of bike lanes and trails planned for 2013. Bicycling magazine publishes a list of the 50 best cities for biking in the country. Detroit’s not on that list. MODE SHIFT IS SEEKING CONTRIBUTORS!